Finding rodents in your house can cause feelings of panic and disgust. Seeing one during the day can indicate a larger population hiding in other areas in or around your home. Did you see one of the common South Florida rodents in your home? Do you suspect an infestation? If so, it’s important to call a pest control service. Rodents can spread disease or illness and cause damage to your home. Florida rodents can even chew through electrical wiring, leading to dangerous house fires. Acting fast can prevent both sickness and costly damages. Read on to learn how to identify common rodents in South Florida and how to protect your home against them. House mice are small, common pests that can measure between 5″ to 7″ including the tail. This type of rodent has a pointed snout and rounded ears. They are usually gray or brown in color but can also be black. Like other mice in Florida, this type is nocturnal and prefers to eat grains but will also nibble at other types of food. Despite the name, this type of mouse is usually found outdoors in fields. When they do head inside, it is usually in search of food. If you see one mouse, there are likely more hiding where you cannot see. Like other mice and rats, they constantly chew to keep their teeth from growing too long. They chew through everything from cardboard boxes to personal possessions and even electrical wires. And don’t think that having a furry friend around will keep you safe. 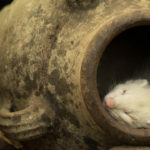 Not only are cats bad at killing rodents but they can also catch diseases such as hantavirus and rat-bite fever. This is one reason why it’s important to identify your rodent problem immediately and act. Where can you find house mice? You can also find house mice outside in wood piles, piles of trash, in holes around buildings, and under bushes and vines. Their droppings are roughly 1/4″ long and look like black rice. This type of rodent is also called the fruit rat, black rat, or ship rat. Regardless of the name, this type of rat is larger than the house mouse. The body usually measures between 6.5″ to 8″ long. The tail can measure anywhere from 7.5″ to 10″ long. They can be black or dark gray in color with a lighter underbelly or brown with a white or cream underbelly. The roof rat is also nocturnal and can be found in dark and secluded places. This rodent is particularly damaging to citrus groves. In Florida, they are problematic during September through March because of the citrus season. Where else do roof rats hide? Because the roof rat is an excellent climber, you can often find them up high. They are notoriously destructive as they need to keep nibbling to keep their incisors from getting too long. They often chew through ductwork and electrical wiring on their way to the attic. Their droppings measure about a 1/2″ in size and are black with pointed ends. The Norway rat, also called the sewer rat, is one of the most destructive types of rats in Florida. They can be found in canals and seaports along the coast. Norway rats are stocky and usually measure 7″ to 10″ without the tail. The tail can measure between 6″ to 8.5″ long and is slightly shorter than the body and head. They are brown or reddish brown in color and they have a blunt muzzle. Like other rats, the Norway rat is nocturnal. They prefer meat, fish, and grain but they can survive on an ounce of garbage per day. You can often find them in areas where trash isn’t stored right. Unlike the roof rat, this type of rodent is a burrower. They dig under structures such as buildings or concrete slabs. Norway rats can cause destruction to foundations, levee banks, and sewer lines. 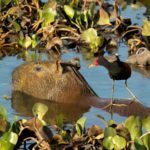 These rats like to make nests near water sources and to hide in secluded areas. Where can you spot a Norway rat? Their droppings measure 1/2″ to 3/4″ long and are capsule shaped with blunt ends. If you see a Norway rat during the day, this is often an indication of a large population nearby. 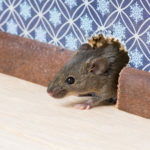 Mice and rats can squeeze into and hide in tiny spaces or holes in your home. Not only can they chew through and damage parts of your house but they can also spread diseases and cause illness in both humans and animals. If you see tiny black droppings in your house or if you hear scratching, you likely have a rodent problem. At this point, it’s crucial that you act fast. Mice and rats reproduce rapidly and before you know it, you have a major infestation. Pest control is best left to a professional who can recognize the signs of a problem. The pest control process involves rodent proofing, baiting, and minimizing food access. We secure your house and teach you how to prevent the return of these invasive rodents. House mice, roof rats, and Norway rats are three of the most common rodents that impact Florida. With temperatures getting cooler, rodent season brings these pests into your home in search of food and shelter. Don’t let any of these South Florida rodents take over your home. Look for signs such as gnaw marks, chewed-through wiring, or scratching noises at night. Another obvious sign is the droppings. Breathing in the fumes from these droppings can cause serious health problems. At Command Pest Control, we take pest control seriously. Let us handle your rodent problem and protect your home. Schedule an appointment with us to receive a service call and get an inspection.